The next success story in our alumni series, comes from Jade Reitmayer, who kindly agreed to an interview regarding her time at Canterbury Christ Church University. Jade Reitmayer was formerly Jade Girling when she studied with us, having got married a few years after completing her degree, and we at the School of Music and Performing Arts would like to send her our congratulations and very best wishes. During her time at CCCU MPA, she was based on our then Folkestone Campus, studying for a degree in Performing Arts, specialising in Technical Theatre, the culmination of which occurred in June 2011. Jade is an example of someone who has excelled through hard work and dedication, working her way through the ranks, from technical staff through to her current lofty position as Stage and Production Manager at the cruising giant, Royal Caribbean International. She can now be found working and travelling all over the world. I work specifically in the ‘AquaTheater’, running all the Aqua shows as both the Stage Manager & Production Manager. I most recently did the launch for the company’s newest ship, which is the biggest ship in the world- the Harmony of the Seas. I launched the venue and installed the show, as well as assisting create the SM Call script for future stage managers to use. As always with every show, no performance is ever the same. I work not only in a dangerous venue, but also with a water show. I am responsible for communicating with staff on deck as well as underwater. All my calls are responsible for confirming flying, automated lift movement, trampoline flips and diving boards, as well as giving performers clears that they are safe to jump from 17 meters high into a pool only 18 feet deep. 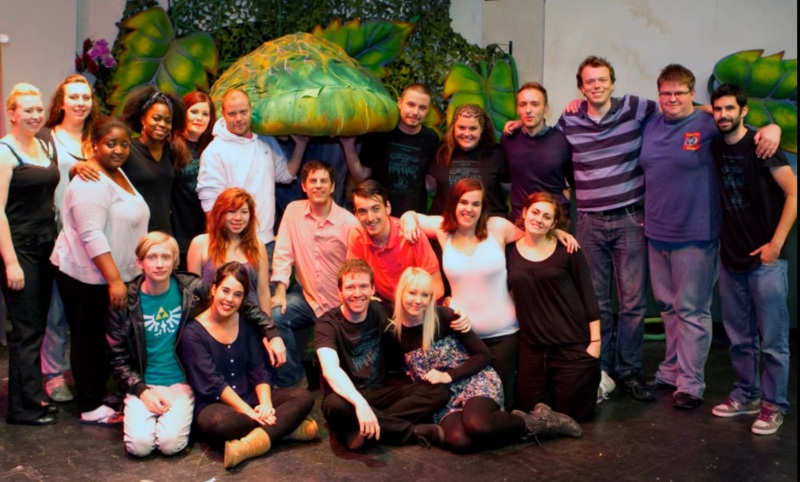 After I finished at uni, I stayed close to the campus and worked alongside the team there on their production shows as the company manager on both Little Shop of Horrors and left mid way through Zombie Prom. I went to work for RCCL after an amazing opportunity to travel Europe and since then I have been around Europe, Australia & NZ, Asia and the US & Caribbean. I started working backstage as a Technical Stage Staff in the theater shows and the ice shows, before moving up to Head Stage Staff and then progressing to my current position. Don’t forget where you started. I started with RCCL at the bottom working backstage and now as a manager I always try to remember that everything I ask someone to do, I was once that person and do they really want to do it or is there anything I can do to make it easier for them. CCCU trained me to understand how to work with a range of people and clashing with personalities. It taught me a range of new skills that I did not have before and wouldn’t have had otherwise, as my course was so diverse. The staff at CCCU were always so supportive, they gave us the opportunity to express ourselves but always gave us their full support. They shaped us into adults and gave me many qualities that I try to follow daily. The School of Music and Performing Arts would like to thank Jade for her time and wish her continued success in her fantastic career! Has this graduate story inspired you to study with us at Christ Church? Read about the BA Performing Arts programme on which Jade studied and how to apply on our website here.